CureMyPC Launches New Online Computer Technical Support Business - CureMyPC, a 24/7 live technical support company, launches new online computer support business, offering more options for consumers in need of technical help. Customers ranging from the computer savvy to the computer illiterate contact CureMyPC for its technical support services. The company’s staff work 24 hours a day, 7 days a week to make sure their customers always receive the support they need. 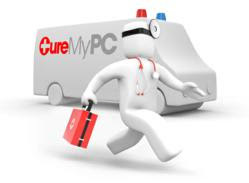 Virus and spyware removal are a specialty for CureMyPC, but their service range is extensive. Supported services consist of: virus removal, spyware removal software assistance, Internet connectivity help, speeding up slow computers, and much more. Powis today announced that its iPad cover, the Powis iCase™, has been specially re-designed for the iPad 2. Powis iCase This stylish case, which is inspired by the traditional book, enhances the sleek look of the iPad, while offering quality protection. The sturdy designer stand offers 9+ positions, and the case is available in more than 40 leathers and patterns. 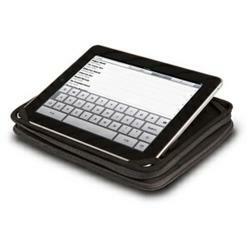 Powis iCase for iPad 2 provides many enhancements over the case for the original iPad. 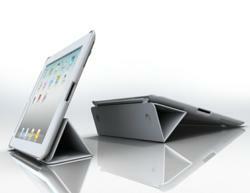 Powis iCase for iPad 2 is thinner and offers the ability to automatically wake up or put to sleep the iPad 2. Close the case and iPad 2 automatically goes to sleep. Open it, and iPad 2 instantly wakes up – no need to press any buttons. The frame inside the Powis iPad cover has been minimized while still maintaining the secure hold on the iPad, providing high quality protection. It is even easier to insert and remove the iPad 2 in the case. And Powis iCase is camera-ready with special cutouts to expose the iPad camera so it can be used without removing it from the case. In addition, the patterned cases for iPad 1 and iPad 2 are now being offered in Premium Book Cloth, which is a stylish upgrade from the gloss laminate previously offered. Dacha Works MOD 4 Now Shipping: World’s First Camera-Shaped iPhone 4 Case - Dacha Works, LLC announced today it has begun shipping its revolutionary MOD 4 case for the Apple iPhone 4. The New York City-based design company introduced MOD 4 in late 2010. Since it’s unveiling, the case has drawn praise for it’s forward thinking approach to optimizing the iPhone’s form. Besides providing excellent protection, Dacha Work’s MOD 4 brings several revolutionary changes to iPhone case design. First, it has two ergonomic, low-profile grips that make the iPhone easier to handle. In addition to the grips, two high-quality textures cover the MOD 4 case. A pebbled-leather texture improves handling along the center of the case. A micro-texture matte surfaces a pleasing feel to the fingers holding the phone in any orientation. Both textures are reminiscent of classic German-engineered rangefinder film cameras by companies such as Leica and Zeiss. eVoice® Makes it Easy to Record Phone Calls - New Call Recording feature lets you capture, play, review and reference business or personal telephone calls. eVoice®, a "Radically Better Phone Number" and brand of technology leader j2 Global Communications, Inc. (NASDAQ: JCOM), today announced Call Recording for eVoice® customers who have the need to record and replay business or personal telephone calls. Phone-centric professionals can now benefit from having the ability to record, store and review any call made from their personal, business, or mobile phone using an eVoice virtual phone number. eVoice is online at eVoice.com. To use Call Recording, simply press “star 2” on the telephone keypad. A pre-recorded prompt inform callers that the call is being recorded. The conversation is then captured and saved as an mp3 or .wav file for easy reference at a later time. eVoice Call Recording is the perfect tool for doctors, lawyers, real estate brokers, contractors, travel agents, and other professionals looking to record contractual conversations. Scroll forward, back and pause when reviewing calls by using the eVoice media player. Call Recording is offered at $5.95 per month and includes unlimited recordings. New eVoice subscribers can start using Call Recording right away by signing up for a free six-month trial account at evoice.com. Current eVoice subscribers will find Call Recording information on their eVoice.com “My Account” page. With a six-month free trial offer and a new guided tour video that demonstrates simple step-by-step setup, eVoice makes it easier than ever for individuals, entrepreneurs and small businesses to use eVoice to be more professional, efficient and mobile. Incipio Adds offGRID(TM) Battery Backup Case for iPhone 4 to its Power Solutions Product Line - Weighing in at just two ounces with a thickness of six millimeters, the offGRID™ is the thinnest, lightest and most efficient iPhone 4 backup battery pack case available to date. Incipio, a Southern California based award winning manufacturer of accessories for mobile devices, has announced its offGRID™ Battery Backup Case for the ATandT and Verizon iPhone 4. Weighing in at just two ounces with a thickness of six millimeters, the offGRID™ is the thinnest, lightest and most efficient iPhone 4 backup battery pack case available to date. 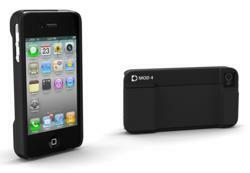 The offGRID™ Battery Backup Case nearly doubles the battery life of the iPhone 4. This innovative solution has an ultra-thin rechargeable battery built inside of a snug fitting, low-profile protective case for the iPhone 4 that offers power and protection all-in-one. The power/status button allows the user to determine the charge level and status quickly with one soft touch button and a series of blue LED lights. Simply touch and hold the button for two seconds to power on and touch again to check the amount of charge left in the offGRID™ Battery Backup Case. This on-the-go rechargeable backup battery case offers to double the user’s talking, emailing, FaceTime™, gaming and surfing time without complication. 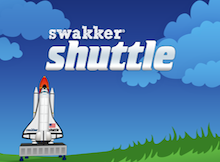 Swakker Announces Release of Swakker Shuttle - Celebrate the last shuttle launch on June 28th with Swakker Shuttle. The last shuttle launch will take place on June 28th and what better way to celebrate than to send friends and loved ones personal, fun messages written in space using Swakker Shuttle. Watch the Shuttle take off from earth and into space as it draws personalized messages and patterns. It's a fun and easy way to celebrate the final shuttle launch. Swakker Shuttle will also enable full motion messaging to people who can view the entire experience on any device. Friends and loved ones will watch on their mobile phone or computer while the Shuttle draws a custom design. Swakker Shuttle comes with four space backgrounds and five space-themed songs. Choose from a selection of Shuttle phrases and patterns or create your own custom message. Swakker Shuttle let's the user go to infinity and beyond with their personalized messages! Deadly Snakes Rendered Harmless (And Fun!) in New Education App -- Latest iOS App from Encyclopaedia Britannica is a Garden of Reptilian Delights - Kids can now get up close and personal with venomous cobras, deadly boa constrictors and poisonous adders, and it’s all perfectly safe. Snakes, a new multimedia app from Encyclopaedia Britannica Kids, makes it fun to learn about all those slithering animals, with games, puzzles, fact-packed articles and beautiful multimedia. The new mobile download for the iPhone, iPad and iPod Touch is aligned with the school curriculum and designed for ages 8-12, though even the youngest and most ophidiophobic kids can enjoy it. quizzes that let kids test themselves on what they’ve learned. Snakes is the latest addition to the Britannica Kids series of apps introduced last fall. Others include Dinosaurs, Solar System, Ancient Egypt, Ancient Rome, Rainforests, Volcanoes and Aztec Empire. The series gives children in the middle grades engaging new ways to learn using the digital devices they prefer. Working with its development partner, Concentric Sky, Britannica plans to introduce a new app on Knights and Castles later this spring. Volo® Products, a provider of premium consumer electronic accessories at value prices, has introduced a new line of High Speed HDMI® cables to meet the needs of today’s value-minded consumer. Volo’s new HDMI cables—Universal, Pro and LX Gamer Series, are ideal for consumers that demand speed, durability and quality but don’t want to pay the high prices of most big premium brand providers. Volo’s Universal Series line of High Speed HDMI cables is the company’s best-selling product with a proven record of over 500,000 units sold at retail. The updated Universal line is industry certified Category 2 High Speed HDMI® and is offered in new sustainable and environmentally-friendly packaging. Volo also introduces two new premium lines specifically for the HD media enthusiast; the Pro Series and LX Gamer Cables, both certified Category 2 High Speed HDMI with Ethernet®. Volo also introduces new combo packs of Universal and Pro Series cables for increased value to the consumer. With prices starting at $19.99, Volo Pro Series cables deliver the greatest value High Speed HDMI with Ethernet cable on the market when compared to other premium brands. Contour+ Wearable Camera Uses Your iPhone As A Viewfinder, Available At Pointofviewcameras.com - New Contour+ hands free video camera uses your iPhone or Android smartphone as a wireless LCD viewfinder and camera controller. Preview video and make camera settings right from your phone. 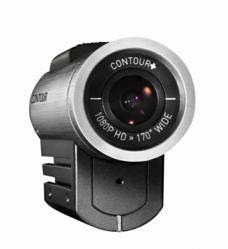 Contour, one of the leading manufacturers of hands free video cameras have introduced a breakthrough HD videocam with the Contour+. The Contour+ is a wearable 1080p HD camera with built in GPS and wireless LCD viewfinder capability using your iPhone/iPad or Android smartphone as the viewfinder. Contour produces the highly popular line of Contour GPS and Contour HD wearable camcorders for the action sports crowd, who love their quality HD recording and easy to use mounting system. These wearable sports cameras have really taken off in popularity in the last few years. It is no longer uncommon to see skiers or mountain bikers with mini video cameras mounted to their helmets and gear. Like other high tech gadgets these point of view cameras have adopted technical advances at a breakneck pace. The Contour+ camera is the latest flagship model that uses your smartphone as a wireless LCD viewfinder for the camera. By incorporating a Bluetooth radio within the camera and installing Contour’s free Connect View phone app, the user can preview video and control camera settings like white balance, exposure and sharpness right from their smartphone. Using your phone as an LCD viewfinder means the Contour+ has the largest and sharpest preview screen of any action camera. Lubricheck Hi Tech Car Gadget Cuts Oil Waste and Maintenance Costs - WaveOn Technologies' newest gadget rates high with techies. The Lubricheck is the first consumer model oil tester, giving owners the data needed to safely extend oil change intervals on trucks, cars, ATVs, motorcycles or RVs. Like automotive testers used by NASCAR pit crews, the Lubricheck can detect oil contamination before it can cause serious engine damage. The next time you change your oil you are probably going to do what most US motorists do, you will discard perfectly good motor oil. In these cases, "change" is not good, for you or the planet. The common belief that oil must be changed every 3-5,000 miles is half a century old, and dates back to the 1960's. Yes, the oil advice most of us adhere to is as old as the Beatles' first visit to America. Music, cars and oil have changed dramatically since those days. Some new vehicles equipped with oil life monitoring systems are routinely going 10,000 to 20,000 miles or more before recommending an oil change. But in spite of dramatic technical advances in oil and engines, advice on oil changing remains the same old advice: Discard it, on the chance it is bad. Oil life is determined by many factors, including synthetic versus standard oil, engine condition, engine oil capacity, weather conditions, and driving habits. Aside from sending oil samples to a testing lab, how can a driver know when their oil actually needs changing? Losing Weight to Fight Obesity Finds Help With New Pulse Oximeter C2A Health Device - Pulse Oximeter C2A device used in conjunction with diet and exercise shown helpful for weight loss and fighting obesity. For years there has been a constant search for health devices like a pulse oximeter that can aid in the fight against obesity. According to government health organizations obesity has become one of the toughest health challenges facing our nation. Statistics state that over 33% of all adults are obese and in risk of diabetes and other weight related ailments. What is more significant is the fact that obesity has become the major health concern facing the youth of our nation. There are also many other health issue that spawn from obesity including diabetes and heart disease. What physicians have recommended is that when individuals desire to lose weight that they do so in a healthy manner. A pulse oximeter is a health tool that is now being used by millions of individuals throughout the country for helping them lose weight and get back into healthy weight levels. 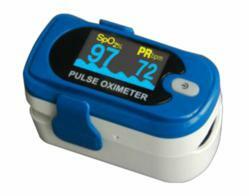 The pulse oximeter is a health device that is used to measure the pulse rate and the oxygen levels of an individual in a non-invasive manner. What it does is that it ensures that the person is operating at recommended levels in regards to their pulse rate and oxygen levels to ensure that they are losing weight the healthy way. Many times weight loss is done in an unhealthy manner whereby more damage is done to the body than good. Samsung Galaxy Tab Cases by Marware Now Available for Pre Order - Marware has been meeting the demand for mobile device accessories and cases since 1993. Its current line of Samsung Galaxy Tab cases reflects Marware’s commitment to innovation with an emphasis on quality over pricing. Marware, a leading accessory company focused on protecting the latest mobile gadgets, has announced that they are accepting pre-orders for Galaxy Tab cases designed specifically for Samsung Galaxy Tab users. 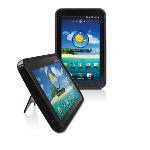 The DuoShell Fuse Galaxy Tab 7” case made of hard plastic and soft rubber is one such offering that not only protects the mobile tablet, but adds versatility, style and durability. The DuoShell Fuse also includes a fold away kickstand designed to enhance the tablet’s widescreen display and video viewing function; a sheet of protective anti-glare film and a microfiber cleaning cloth. Another in the Marware series of Samsung Galaxy Tab cases is the multifunctional C.E.O. Folio made of soft-touch leather and designed with an integrated stand for widescreen display. The magnetized lid provides quick, easy access to the tablet and a secure closure. Marware’s C.E.O. Folio Galaxy Tab 7” case offers tablet users style, durability and scratch resistance protection. Now watch home-made Blu-ray movie on Samsung Infuse 4G with Pavtube - Summery: Blu-ray Ripper now rips not only commercial Blu-ray/DVD Discs, but also home-made Blu-ray Discs to a wide range of Android devices with a recent update that covers BDAV and Samsung Infuse support. 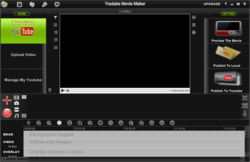 Multi-media developer Pavtube Studio(pavtube.com) has recently announced an update release of Pavtube Blu-ray Ripper, the flagship product of Pavtube which specializes in Blu-ray and DVD transcoding for portable devices. The update claims supporting to BDAV structure and an upcoming 4G mobile phone- AT&T’s Samsung Infuse 4G. BDAV is shorted for Blu-ray Disc Audio/Visual (BDAV or BD-AV) format, a consumer-oriented Blu-ray video format used for audio/video recording. The BDAV structure, which is which is compliant with the BD-ROM AV specification, is widely used in creation of home-made Blu-ray Discs. The support to BDAV structure means that Pavtube Blu-ray Ripper users now can rip not only commercial Blu-ray/DVD Discs, but also home-made Blu-ray Discs into desired format (MKV, AVI, MP4, WMV, M2TS, etc). As a most up-to-date 4G handset, Samsung Infuse 4G supports video playback up to 1080p full HD quality. The update of Pavtube Blu-ray Ripper comes with all Samsung Infuse 4G supported formats, including a best formative, i.e., H.264 MP4 video of 850*480 in resolution for full display playback. Snakebyte to Offer Free Identity Theft Protection to Online Gamers through Identity Theft Protection Service for Dummies™, by SaberGuard - Sunflex and SaberGuard team up to offer gamers free identity theft protection for a full year. Sunflex USA LLC, the exclusive marketer of the Snakebyte™ video gaming accessory brand, has initiated a program in conjunction with IDENTITY THEFT PROTECTION SERVICE FOR DUMMIES™, by SaberGuard, an industry leader in identity theft protection, to offer consumers free identity theft protection for a full year. By entering the special promotional code “snakebyte” at saberguard.com/snakebyte, gamers will be able to sign up for the Snakebyte™ sponsored service until August 1st 2011. The Snakebyte™ sponsored Essential Protection Plan from Identity Theft Protection Service for Dummies provides members the peace of mind and protection necessary in the face of these breaches. With the breadth of applications for small/medium electronic devices, such as mobile phones, digital still cameras, portable and automotive navigation devices, as well as e-book readers and tablet PCs, the industry is currently expecting healthy growth by adding and improving features of the devices. According the DisplaySearch Quarterly Small/Medium Shipment and Forecast Report, small/medium active matrix flat panel displays, including TFT LCDs, AMOLEDs, and AMEPDs, experienced strong growth for a variety of applications as a result of improved display technologies. 2010 shipments grew 23% Y/Y, to 1.89 billion, due to increased demand in applications such as smart phones, commoditized digital photo frames, as well as navigation devices and multi-functional displays in automotive monitors. WETKEYS Washable Keyboards and Econo-Keys to offer Deep Discount on Waterproof Keyboard and Mouse Set - Econo-Keys (econo-keys.com), an innovative manufacturer of sealed, ruggedized keyboards for medical and industrial applications, announced today that it has partnered with WETKEYS Washable Keyboards (wetkeys.com), a leading supplier of washable computer keyboards, to offer Econo-Keys’ high-quality products at a significant discount to hospitals, manufacturing facilities, dental offices and other areas where infection control is a key concern. For a limited time, WETKEYS.com is able to offer the new EKFT-108 keyboard and EK-PM-W mouse combination for only $59.95 – more than $40 off the regular price. To combat this growing problem, Econo-Keys manufactures computer hardware that is completely sealed and waterproof. Econo-Keys’ EKFT-108 keyboard and EK-PM-W mouse are compatible with hospital-grade disinfectants, and can even be cleaned in a dishwasher. PhoneTap 1.3 iPhone App Released - Phone Call Recording App - Independent developer Clever Panda LLC today is pleased to announce the release of PhoneTap 1.3 for iPhone, which allows users to record outgoing phone calls right from their iPhone. While many competitive solutions require bulky external hardware or a monthly subscription, PhoneTap requires only an iPhone and is purely a software solution. PhoneTap is the easiest phone call recording app and is trusted by thousands of individuals and businesses throughout the US who need an accurate record of phone conversations. Any iPhone owner can download the app and begin recording phone calls instantly. PhoneTap includes 20 free minutes of airtime and additional airtime can be purchased from within the application through the user’s iTunes account. PhoneTap 1.3 includes many performance and reliability enhancements that customers have been asking for. Version 1.3 fixes crashes, reduces dropped calls, and improves recording quality. Clever Panda LLC takes customer feedback very seriously and continuously incorporates customer comments to improve its products. modulR is introducing a new protective case for the iPad 2, a follow-up to their widely successful case and accessories for the original iPad. With a case that clicks-to-fit to an ever-expanding line of stands, mounts, and straps, the modulR iPad 2 Case can go anywhere and do anything – from the office desk top to the bedroom wall and beyond. The latest protective iPad 2 Case by modulR is designed to be sleek, comfortable and versatile, allowing for a relaxed grip while the new detachable cover protects the iPad 2 screen, and provides a super-stable display and typing stand. modulR has also completely updated their accessories for iPad lineup including the release of a car headrest strap, a refined wall mount, a fridge mount, and a combined shoulder and hand strap with stylus holder; the result of modulR’s extensive experience working with businesses, hospitals and schools. Shop iPad 2 Cases for LE$$ / Price list Click here! SlickWraps to Offer Leather for iPad2 - Genuine Leather Skins with Premium Styling Available Online - Slickwraps, Inc. (SlickWraps.com) announced their SlickWraps iPad 2 Leather is now available through SlickWraps.com. Made from genuine high quality Leather, the patent-pending SlickWraps Leather for Apple’s iPad & iPad 2 can be found at slickwraps.com. SlickWraps is a leading manufacture designer, and distributor of electronic wraps/skins for protecting and enhancing the mobile experience, including the popular iGlowPhone™, SlickSkin™ brands. 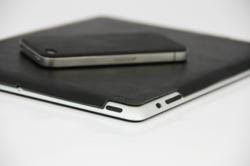 A part of SlickWraps line, iPad 2 Leathers are a thin, pliable cover that applies directly to personal electronics like a film, but is created from genuine leather. SlickWraps Leather Series uses a patent-pending adhesive process that holds the skin firmly in place on the device and is also removable leaving no unsightly residue. SlickWraps Leather Series provides gadget protection plus premium style in a very thin form. Elemental LED, a San Francisco Bay Area-based LED lighting company, has lowered the price of the Apollo, the new dual mode LED Color-Changing Controller. This programmable controller has both DMX and pulse width modulation (PWM) outputs, offering an unprecedented level of versatility for LED light controllers. 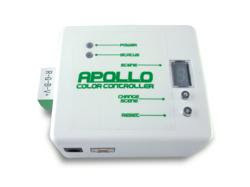 The Apollo can be used to control devices such as wall washers and PAR cans, or to drive three channels of PWM to control LED lighting fixtures like RGB strips lights and light bars. The new $149.99 price and the product’s compact size and portability are key features that make this LED color changing controller a revolutionary development in lighting control. “The main purpose of the Apollo was to create a low cost unit with high functionality,” says Elemental LED Lead Engineer, Joe Martin, “There were other DMX products on the market, but they carried a much higher price tag and were very difficult for the lay person to use.” The Apollo was designed completely in house by Elemental LED engineers, from the concept and circuit boards to the enclosure and companion software. Lighting scenes for the Apollo Controller are created using the PC compatible companion software, the Apollo Scene Designer, also available for download at elementalLED.com. The software was designed specifically for use with the Apollo RGB Controller. Users can create lighting scenes on their computer with this software, and then upload them to the Apollo for playback. The interface boasts an intuitive, simple flowchart-style design, and utilizes cues such as "Fade to Color" and "Pause on a Color" so the user can construct scenes and preview them on the computer. 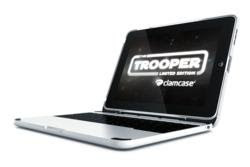 ClamCase® Announces Limited Edition Trooper Case - In conjunction with the celebration surrounding, “May the 4th Be With You”, ClamCase® - The All-In-One Keyboard Case and Stand for iPad announces the upcoming launch of it’s first release from the Limited Edition ClamCase® Inspired Series. The Trooper Limited Edition ClamCase® is space-inspired keyboard case for the Apple® iPad. Featuring a black hinge, keyboard, base, and ergonomic rubber feet, the imperial white protective case provides contrast. Collectors and fans will enjoy the high-quality fit and finish of the latest ClamCase®. In addition, ClamCase® is gearing up for the launch of the ClamCase® for iPad 2. This all-new version builds on the features that made the original ClamCase® an instant global success. ClamCase® for iPad 2 has been designed with an all-new light and sleek design, and will be available in both black and white models. ClamCase® products offer an incredibly practical solution for those who have experienced the magic of the Apple® iPad, and are looking to take their device to the next level. ClamCase® is the only tablet case on the market today that not only enhances the mobility of the iPad with a highly functional keyboard and durable hard-cover case, but also maintains the freedom of the tablet design with its patent-pending 360 hinge. iPads™ and e-book readers are on their way to becoming as commonplace as smartphones and iPods™, but as more and more of us cross over into the land of tablet ownership, it’s become clear that this new generation of gadgets has a unique set of storage, cleaning and connectivity needs that call for some special attention. Stylish in a minimalist kind of way and unbelievably versatile, this iPad™ perch works as a stand, pedestal, and even a secret stashing place for keys, flash drives, and other small items. Choose from standard Black or White, or take a walk on the wild side with Pink, Blue, Green or Orange. Fits any tablet device. Matrox Graphics Inc. today announced that the Matrox DualHead2Go DP Edition and TripleHead2Go DP Edition are now compatible with the latest Apple® MacBook® Pro notebooks featuring the new Thunderbolt™ port. Developed by Intel® and brought to market with technical collaboration from Apple, the high speed I/O port sets a new standard for high performance peripherals. DualHead2Go DP and TripleHead2Go DP are already the preferred multi-display solutions of many Mac® users. With a simple Matrox firmware update, these solutions can also be used to achieve unprecedented dual- and triple-monitor performance including OpenGL® support on the new Thunderbolt-enabled MacBook Pro. The new software release will also add the 2x1400x1050 multi-projector resolution to the already comprehensive supported resolution list. "DualHead2Go DP and TripleHead2Go DP deliver workstation-class, multi-display performance for the most demanding media creators and CAD designers," said Caroline Injoyan, Business Development Manager, Matrox Graphics, Inc. "We're happy to provide continuous support to our Mac users by enabling Thunderbolt compatibility on our Graphics eXpansion Modules." GraphicToners.com Brings Huge Savings on Featured Dell, Brother, Hewlett-Packard, and Samsung Toner Cartridges - Save as much as $31.00 with purchases of selected premium remanufactured toners from GraphicToners.com, a leading Samsung toner cartridge online supplier. With big savings on Dell, Brother, Hewlett-Packard, and Samsung toner cartridges, clients can shop on other products offered by GraphicToners.com – CD/DVD media, mobile accessories, or PC webcams. Continuously giving irresistible deals on premium remanufactured toners is GraphicToners.com, an online provider of Samsung toner cartridges. Featured products for this month that offer huge savings are laser toner cartridges for Dell, Hewlett-Packard, Brother, and Samsung printers. 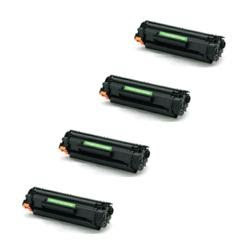 Giving the biggest savings is the Premium Compatible HP CE285A Black Laser Toner Cartridge. For a pack of 4, GraphicToners.com is offering the HP Black Laser Toner Cartridge for a sale price of $84.95, $34.00 less than its original price of $118.95. Get a $20.00 discount with GraphicToners’ Premium Compatible HP CB540A, CB541A, CB542A, CB543A Color Laser Toner Cartridge Set. Originally priced at $159.95, the HP Laser Toner Cartridge Set is now available for only $139.95. GraphicToners gives clients more value for their money by making this item qualified for free shipping. Meanwhile, the Premium Compatible Dell 2130CN Color Laser Toner Cartridge Set offers $25 savings to its now reduced price of $64.95. The Dell Laser Toner Cartridge Set includes 330-1436, 330-1438, 330-1433, 330-1437 color toners which are compatible for printers 2130CN and 2135CN. It features the colors black, cyan, yellow, and magenta. Global Smartphones Market to Reach 1641.82 Million Units by 2017, According to New Report by Global Industry Analysts, Inc. - GIA announces the release of a comprehensive global report on Smartphones market. World smartphones market is forecast to reach 1641.82 million units by the year 2017. Thriving economies, growing employment opportunities, rising income levels, continuous development of cellular markets, rising 3G penetrations, and increasing spending power in major countries will drive demand for smartphones in the post recession period. Smartphones, the unison of mobile phones and other handheld devices, have become a hot topic in the global market based on its ability to play digital music, provide wireless Internet access, display color video, and provide basic mobile phone as well as typical handheld functions. A major portion of wireless users has migrated toward from voice-only handsets to feature-rich mobile devices such as smartphones that enable advanced messaging, email, browsing, data services (such as applications, media, location services), instant messaging, navigation, and MMS. The major catalysts for this trend are a confluence of various factors, such as mobilization of business, improved carrier focus on offering data services, faster 3G networks, third party mobile applications, and advanced handset technologies that offer compelling user experiences, in terms of display, battery, interface, form factor, and processor. Also, the price-performance ratio over the years had modulated to accommodate the rising communication, information, and entertainment needs of wireless users. Although the year 2009 was a difficult year for smartphones than previous years, the feature-rich devices ducked the negative growth trend in mobile device market. The growth of smartphones market is attributed to changes in consumer tastes, and manufacturers planned new solutions, such as the launch of new products with real added value. Electronic Purchases for Moms Increasing - More electronic purchases are forecast for this Mother's Day, along with extended warranties. More people are expected to give electronic gifts to moms this year on Mother’s Day and are likely to include an extended warranty (service contract) with the purchase, according to the Service Contract Industry Council (SCIC). A survey of consumers by Brand Keys, Inc. predicts a 10 percent increase in electronic purchases over last year – the highest increase in all the product categories represented (flowers, clothing, jewelry, gift cards, etc.). The survey determined that of those consumers planning to give an electronic device, 25% are purchasing e-book readers, 19% tablets, 15% smart phones, 9% computers and 6% cameras. According to SCIC member N.E.W. Customer Service Companies, Inc., cracked screens for both eReaders and tablets can cost from $160-350 to repair/replace; battery upgrade/replacement $80-150; lines in screen $160-350; unit frozen/not able to connect to computer $180-500 -- with all higher ranges applying to tablets. Recent findings from the new DisplaySearch Global TV Replacement Study show that the commonly-held assumption that households in richer countries own more TVs is true: the study found that households in developed countries own 28% more TVs on average than households in emerging countries. However, DisplaySearch found that, within nearly every region, the number of TVs per household for flat panel TV owners is greater than non-flat panel TV owners. In fact, the tendency for flat panel TV adopters to own more TVs was even stronger in emerging markets, indicating a stronger separation of buying power among upper and lower income classes. “Whether a consumer resides in an economically developed or emerging country, those who are willing to adopt new TV technologies possess greater interest in owning TVs in general, have higher incomes, and can afford more TVs, or both,” noted Paul Gagnon, DisplaySearch Director of North America TV Market Research. Free DVD Ripper All-in-one Convert DVD to AVI, MPEG, MP4, WMV, Flv, 3GP, Copy DVDs to iPod/iPhone/PSP/ZUNE/Mobile Phone/Apple TV/YouTube, Shrink DVD - Acala DVD Ripper Professional is an intuitive to use program which rips your DVD movies to avi, mpeg, mp4, wmv, 3gp, flv format video files, copy DVDs to iPod/iPhone/PSP/ZUNE/Mobile Phone/Apple TV/YouTube, shrink DVDs. The build-up enhanced encoder deep compress output min files with high speed and lossless movie quality. Acala DVD Ripper Professional convert DVDs to AVI, MPEG, MP4, WMV, Flv, or 3GP format video files, copy DVDs to iPod/PSP/iPhone/ZUNE/Mobile Phone/PS3/Apple TV, also can shrink DVD main movie to be DVD D-5 or DVD D-9. Acala Software today is happy to announce the release of free and full copy Acala DVD Ripper Professional based on the third generation DVD player and transcoder core which can record any playable DVDs and transcode to AVI, MPEG, MP4, WMV, Flv, or 3GP format video files, copy DVDs to iPod/PSP/iPhone/ZUNE/Mobile Phone/PS3/Apple TV, shrink DVD main movie to be DVD D-5 or DVD D-9. Acala DVD Ripper Professional gives the user the possibility of copying and backup any DVDs to be popular video format files. With Acala DVD Ripper Professional, it is easy to backup DVDs onto hard disk and copy DVDs to portable multimedia device, such as iPod, iPhone, PSP, Zune, Pocket PC, Mobile Phone, PS3, Zune.